This entry was posted in Custom Made, Homepage, Newsletter, Stories on April 17, 2013 by admin. ‘Am I for ever travelling yet never returning home?’ has been the starting point of inspiration for MichaelandCaja. ”Where is home?” is such a relevant question to many that migrate and travel the world nowadays. Caja and Michael, both raised in mixed cultures themselves, wonder how they might uncover a feeling of being at home within. Theatrically staged Storytelling by 2 storytellers (M&C). The telling of the legend is blended with auto-biographical stories of Michael and Caja. 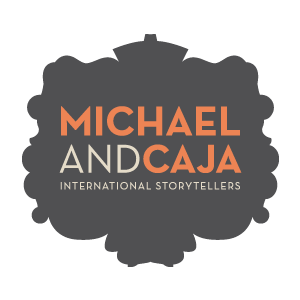 The telling can also be booked in combination with a Storytelling- or theme specific workshop hosted by MichaelandCaja.